The medium telephoto 135mm prime lens is a handy tool for both portraiture and for shooting fast action, albeit by taking a few steps back. The 135mm prime does offer just the right focal length to be equally useful for both needs, though some would feel that being in the middle ground it suffers from the lack of optical reach as the 200mm or the maximum angle of view as the 50mm prime. But believe me when I say, two of the best portrait lenses you could ever lay your hands on are both 135mm primes – the Canon EF 135mm f/2L USM and the AF-DC Nikkor 135mm f/2D. There is some debate as to which one is the best portrait lens, the 135mm prime or the 85mm prime and my personal feeling is the 85mm is the clear winner. The photography world is, however, divided and there are just as many photographers perfectly happy to shoot with a 135mm prime as there are those shooting with an 85mm prime. 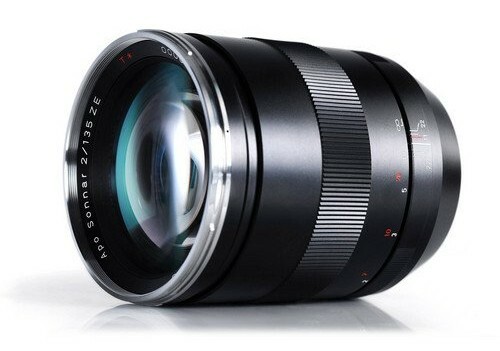 The 135mm has its own advantages and we shall look into some of them here. The 135mm prime is trusted by a host of studio photographers. In a studio environment you can get the right lighting settings, get your props and backgrounds the way you want and shoot from a distance. An 85mm prime will compel you to take a few steps forward to fill the frame with a headshot while with the 135mm you will need you to do the exact opposite. There are inherent advantages to it such as getting the facial features perfect. On the other hand if you are shooting outdoors and standing several feet away to compose a head shot you run the risk of someone walking across the frame. So much for taking a beautiful headshot of your friend with the out of focus Colosseum in the background. The thing about the 135mm prime is they are usually super sharp. For example the Canon EF 135mm f/2L USM (Amazon | Adorama | B&H) is famous for it’s legendary sharpness. Though I would not get into stormy waters by fiddling with lens sharpness here as that depends on a number of issues, but the results using the 135mm is more than satisfactory. There is no such thing as a perfectly sharp lens that is tag sharp under all situations and all conditions. Even the so advertised sharpest lenses do tend to show off some degree of softness when used outside their comfort zone. Use your kit lens properly and you could get stunning results, while on the other hand using something like the EF 85mm f/1.2L poorly and you would end up with soft results. The 135mm (the best one at least) have very fast apertures, ideal for smooth Bokeh as well as for capturing action. Additionally, these lenses are perfectly suitable for the purpose of capturing truly beautiful moments in low light in all their breathtaking splendor. Photographers usually buy this lenses primarily shoot in fast apertures. Most of the 135mm primes are great pieces of optic and their reputation comes from their build quality as much as their performance. Below I have added few examples to demonstrate their capabilities and show what kind of images they can produce. These are only a little portion of their unique capabilities. If you choose go for one, I hope you will be able to do better.